Home / Blog / Remco PoolGuard: Protect pools in the colder months. Remco PoolGuard: Protect pools in the colder months. The colder months can make pool maintenance a complete nightmare, with leaves, debris and dirt creating hours of unnecessary cleaning. Protecting a pool is vital to minimising cleaning hours and safeguarding long-term maintenance. The Remco PoolGuard cover offers complete waste protection, ensuring the pool is clean, clear and ready to use come warmer weather. The PoolGuard completely protects pools on multiple levels. The complete waste protection feature ensures that leaves, insects, dirt and other debris are prevented from entering the pool. This reduces the traditionally strenuous task of pool cleaning down to brushing the cover, rolling it up, and jumping straight in. Evaporation can also be a costly risk to pool maintenance, even in winter. The PoolGuard reduces maintenance costs and aids in making pools environmentally friendly by preventing water, chemical and heat loss. 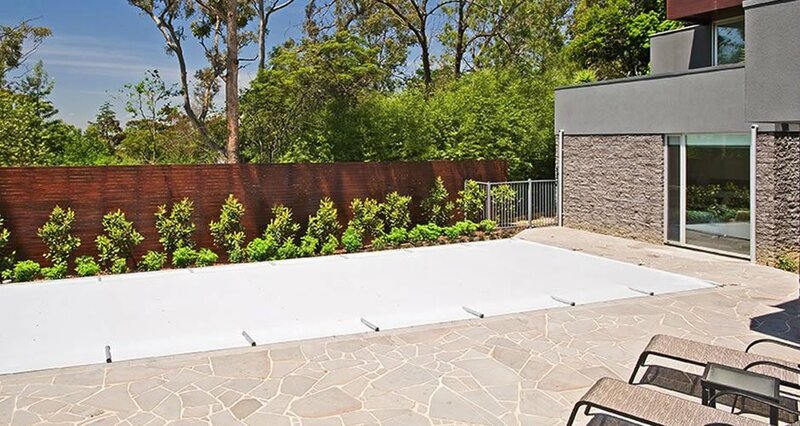 With a 150mm gap between the cover and the water’s surface, the PoolGuard creates unsurpassed insulation as well as creating water and chemical retention. Another important aspect of this pool cover is its complete safety feature. PoolGuard is designed to be completely impenetrable to provide safety for children and pets in the backyard. This gives pool owners peace of mind knowing that there is an additional layer of protection in their backyard to prevent accidental drowning. The Remco PoolGuard is manufactured with the highest quality materials available today, providing reliability and safety for any backyard. To find out more about PoolGuard, contact us today.